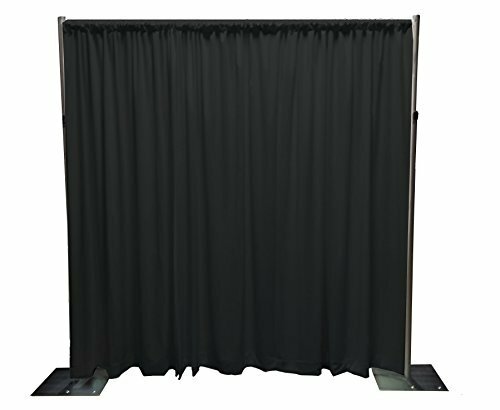 The blackout umbra pipe and drape backdrop kit is a perfect, portable, solution when light control and sound control is required for presentations and events. Pipe and drape kit contains all the hardware and fabric needed. Fits under 8ft ceilings. Covers 8 to 10 feet of floor space and is 7ft 10in in height (fixed). Umbra fabric is machine washable (cold). Next generation black-out fabric for 95+% light control. Soft velvety hand, double sided.